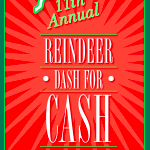 Join us for the 12th annual Reindeer Dash for Cash 10 Miler & 5k run. Our patriotic, Christmas-themed run offers a custom designed finisher medal (even for our 5K!) 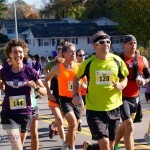 and age group awards keeping in theme with our purpose. Our uniquely designed t-shirt is one you will not want to miss. But, just in case you do not want a shirt, we have decreased our fee and are giving you the option to purchase our shirt. It’s a win-win.